After giving up plastic in 2012, I realised that the only waste I was generating was the small amount of non-avoidable plastic, food waste and recycling. I began to wonder if I really needed a bin at all. Once I’d got my plastic-free habit down pat, I began to work on reducing my waste altogether. It was only later that I heard of the zero waste movement, and I realised that was a pretty good description of how I was living my life. Zero Waste – What Does It Mean? The zero waste lifestyle is about sending nothing to landfill. For me, it is about recycling as little as possible, too. The goal is to produce no landfill and no recycling, but in reality, there will always be things that slip through the net. It is not about being perfect; it is about making better choices. I see recycling as a last resort: it is always better to refuse, reduce, re-use and repair before recycling anything. I still recycle – I’m not perfect! – but I’m always thinking about my waste, refining my choices, and aspiring to do better next time. It is about choosing products that are well-made and built to last, that can be repaired, and won’t end up in landfill once life-expired. 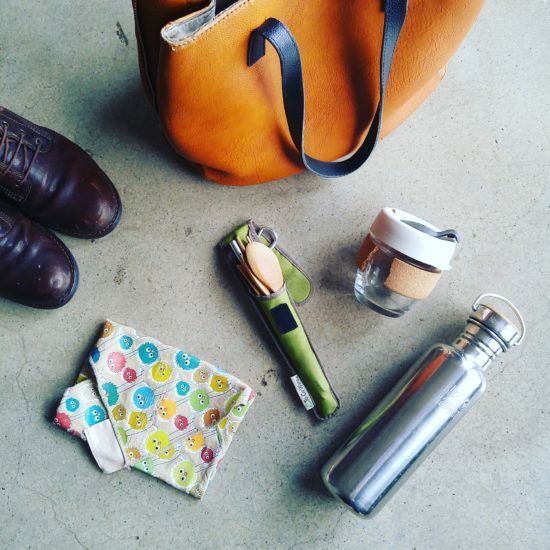 It is about choosing reusables over single-use items. It is about favouring second-hand over new, and valuing resources. It is about refusing anything unnecessary. It is about asking questions. It is about embracing creativity: thinking of solutions, problem-solving, and discovering new and better ways of doing things. It means thinking about the end-life of a product before I take it and bring it home. Read this article to find out what zero waste living looks like in our household. Zero waste is a journey. 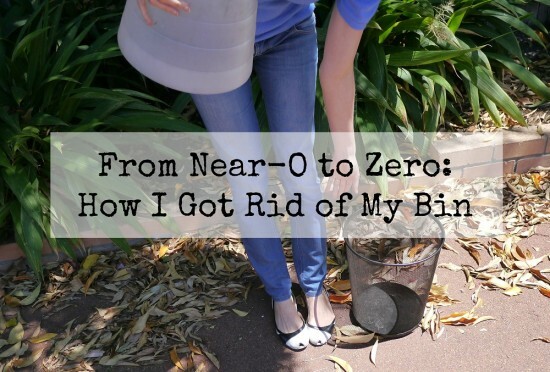 You can read how I got rid of my bin here. Please realise that it didn’t happen overnight! My first step was quitting plastic, and you can find more info on the plastic-free lifestyle here. I’ve also written a book about living plastic-free. Zero Waste Living: What About Recycling? Up to 30% of the average household rubbish bin is made up of food waste. That isn’t just good food that’s expired, it’s also things like peels, husks, cores and other scraps. Find a way to deal with your food waste and your waste will drop dramatically! I’m committed to helping everyone with an interest in living with less waste, so if you’d like to stay up-to-date with new blog posts and other free resources I create, please subscribe. If you have any questions or want to know more, you can always email me at hello@treadingmyownpath.com – I’m here to help!